Can an Intel core i5 be faster than an i7? In terms of confusing product names, this line of intel CPU’s seems to take the cake. I’ve heard everything about them, starting from i3 chips are better than Core 2 duo, or Core 2 quad, all the way to the number of cores is one less than the number mentioned, ie. Corei7 has 6 cores and so on, but in reality, nothing is that simple. Makes you wonder, doesn’t it, why the processors aren’t just named based on their clock speed or Gigahertz, sure it a lot simpler and less confusing. Well, no, not really, without a lot of background information, just the clock speed is next to useless. Thats because certain processors can get more work done per cycle which means that in real life terms, they give you better output for less cycles. Think of it as more speed but at a lower rpm, in terms of car engines. So, while naming was initially done with regards to clock speed, that all changed when intel rolled out the Core series; a series of processors that far outperformed their predecessors at significantly lower clock speeds. Thus, the i3, i5 and i7 were born. Right now, other than the Pentium series the most basic option is the Core i3 which comes with 2 processing cores and hyper-threading. Hyper-threading is basically when a single physical core is presented to the computer as multiple logical cores, meaning multi-threaded processes can take advantage of the same physical core as well as allowing for easier multitasking. Compared to the rest, it comes with a smaller cache and uses less power not to mention a smaller price tag. Now, back to the initial assumption of them having one Coreless than the indicated numbers, that certainly holds true for the i3, what about the i5? Well, not necessarily! the i5 can have 2 or 4 cores, but usually, 2 cores comes with hyperthreading but 4 cores do not. What they all have in common however is improved on board graphics and turbo boost. Turbo boost basically speeds up single core performance at the expense of the other cores for maximum oomph during high performance requirements such as high end gameplay. Finally, the motherload! The Core i7. All of them have hyper-threading enabled, and interestingly, it can have anywhere to 2 cores on ultrabooks all the way to 8 cores on workstations. Can support anywhere from 2-8 sticks of memory and have a TDP from 10W all they way to 130W. They tend to have more cache, faster turbo boost and better on board graphics. Core i7’s are basically the best intel can provide at a given use case ie. at different levels like ultrabooks, desktops, gaming computers and so on; meaning the best processor for ultrabooks all the way to the best for workstations which are very different because the user requirements are nowhere near the same. As a final note, some i5’s and i7’s come unlocked which can allow for overclocking. So, can a Corei5 perform faster than an i7? Definitely, but only if you’re comparing across different user requirements. A quad core desktop Core i5 can outperform a dual core ultrabook Core i7 on certain things, such as video conversion using multiple threads, but these scenarios are uncommon and very specific, not to mention a little unfair because you’re matching up processors at two classes. 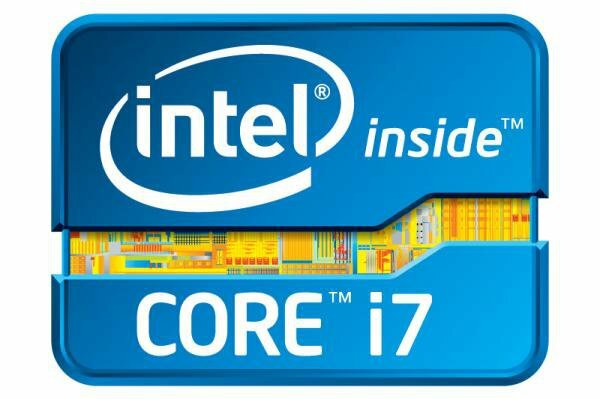 Rest assured that when you’re buying a Core i7 you will be getting the best in its class.